And this really beautiful sapphire ring sums it all up for you, I think you'll be interested in something being hawked on TV these days. Maybe generation two of that story sends you off to la la land. Or maybe it's just seeing that ring again that's causing all that thrill. No matter because you can have a dead ringer for it (is that a double pun?) for $19.99. Never mind that the original cost £30,000 in 1981 and is now priceless, this ingenious copy will fool all of your friends and social lessers that you are, indeed, royalty. We didn't trash this here already? Hmmmm. I thought we had. Maureen and Kathy: We had a field day with this on Facebook about a week ago. This is the longer version. That ring is very poorly made. 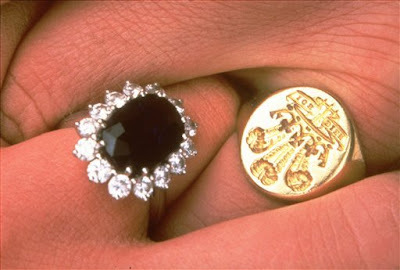 The copy came from the ring that cost about £30000. 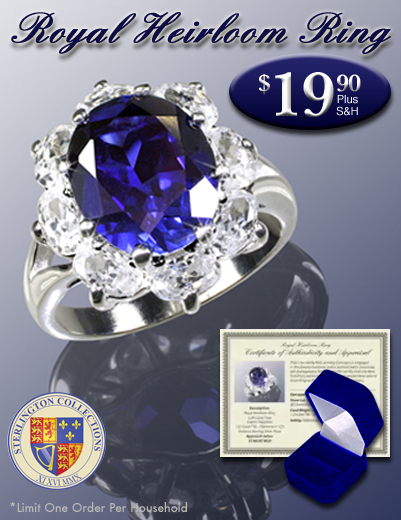 A $20 ring is better if you just wanted to know how royalties wear an expensive sapphire ring.